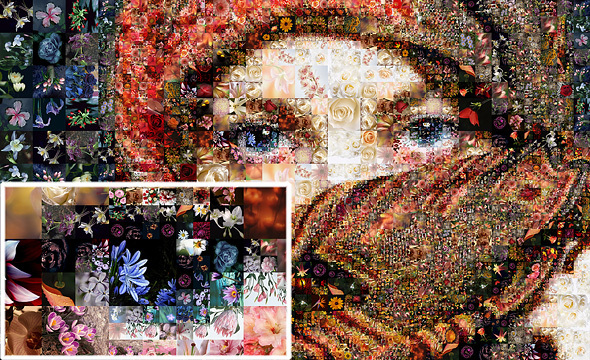 ﻿ Photo collage maker - Amazing, Affordable and simple photocollage Software. Download Now! - Create Your Amazing Photo Collages! Create perfect photo collages every time! Artensoft Photo Collage Maker will bring new life into your digital photo collection by turning pictures into stunning collages. 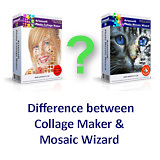 With Artensoft Photo Collage Maker, you can turn the image on the left into a perfect photo collage. 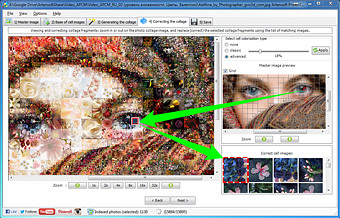 All you need to create an impressive photo collage is a master image, a preferably large library of cell images, Artensoft Photo Collage Maker and a few mouse clicks. 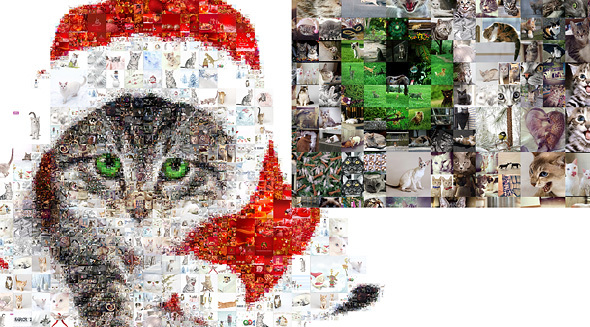 Feel free to visit our gallery featuring dozens of cool photocollages. Just click this link and enjoy the show. 3. Click to make the photo collage. You can go full auto or become creative with the many available configuration settings. 4. Review and adjust your photo collage to ultimate perfection. You can replace tiles as needed. 5. Choose resolution and save your new photo collage as a JPEG, BMP, TIFF, or PNG file. 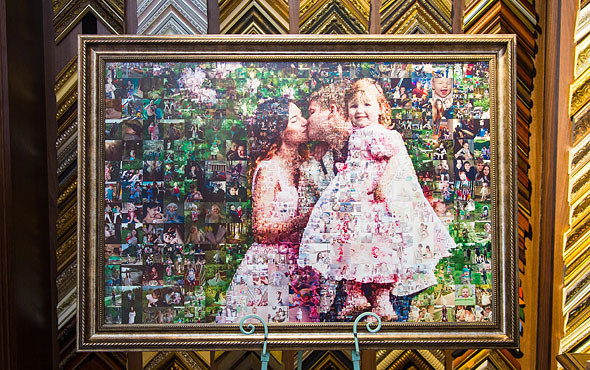 Create collages using thousands hearts! 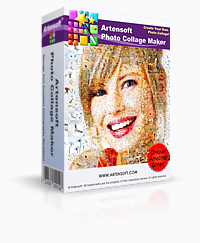 Artensoft Photo Collage Maker comes with lots and lots of things you can tweak, change or adjust to unleash your creativity. The many advanced settings and manual adjustments allow building photo collages to satisfy the most demanding taste. Artensoft Photo Collage Maker works completely stand-alone, and does not require any other software or third-party tools. A reasonably modern Windows PC is all that you need to turn your pictures into stunning photo collages. We guarantee a perfect result! If your first collage in the program came out not exactly as you expected, don’t get upset – it’s normal. This is art, and there is always room for perfection here. However, we would like to give you a guarantee that our program will eventually help you create a collage worth printing out. Thousands of companies and users have already used our special service to create collages for magazine and book covers, posters and gifts. and we will create a great-looking collage for you. Just don’t attach your photos to your message – instead, use any file sharing service and send us a link (DropBox, Google Drive or any other online file storage).